Here's a few items that have crossed my RSS feed in the past few days. 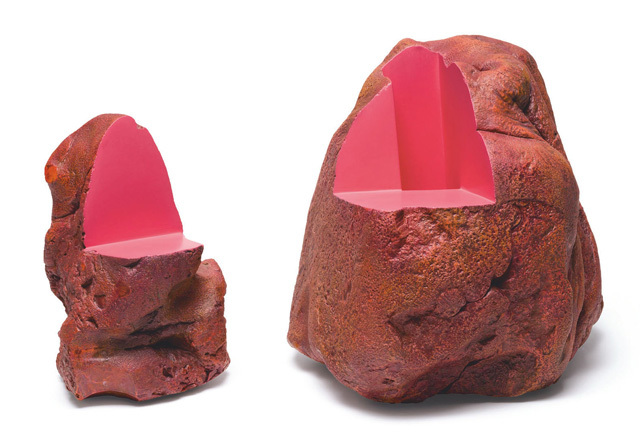 ITEM: This article by the always excellent John Yau on Ken Price was also documents the triumph of conceptualism over craft in major contemporary art institutions (it mentions museums, but art schools and alternative art spaces could be mentioned as well). I found it perfectly in keeping with long held policies and biases that the show went to the Met [...] and not to the Museum of Modern Art, the Guggenheim Museum, or the Whitney Museum of American Art — three institutions which have all but openly declared their hostility toward the craft tradition to which Ken Price, who worked in ceramics, clearly belongs. ITEM: Until recently, I hadn't updated my Houston art map in ages. Galleries open and close, though, and new pieces of public art are installed, etc. So here is the updated map. It basically has about a 75 mile radius around Houston. Obviously most art locations tend to be bunched together inside the Loop, but I try to include things that exist further and further out. I wish that there was a Pearl Fincher-style museum in each of the cardinal points. The north has the Pearl Fincher. We need one west (in Katy? ), south, and east (Baytown?). But really, there's enough here to keep interested explorers pretty busy. If you notice any errors or omissions, please let me know! Keith Haring signing at the FUN Gallery in February 1983. Photo by Martha Cooper. Reproduced in NEA Arts issue 2, 2013. ITEM: Did you know the NEA has it's own magazine? And it's pretty good. The second issue has articles on Daniel Clowes, Art Spiegelman, Lady Pink and more. We don't have an official Academy in the U.S., no imposed canon of taste (except that that arises as a general consensus within art schools and museums--see John Yau above), but if there were an Academy in the U.S., it would be the NEA. And here they are, devoting most of their space in their official magazine to comics and street art. If you asked me in 1988, when I first started writing about comics and when I started producing some highly illegal spray can art, whether these art forms would ever be canonical, I would have certain said no while simultaneously longing for it. When I worked for The Comics Journal, we were torn between wanting our artform to be acknowledged by cultural arbiters and disdaining them in favor of an independent path. So now, 25 years later, comics and street art seem to have arrived. Break out the champagne, I guess. 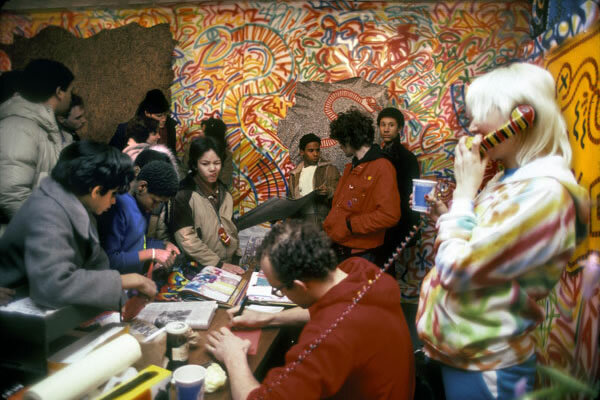 NEA Arts includes a great audio feature with Patti Astor about the history of the Fun Gallery, which was a key part of the East Village scene in the early 80s and the first flowering of street art. Fun Gallery plays a walk-on role in a book I just read, Fire in the Belly: The Life and Times of David Wojnarowicz, as the first gallery of the East Village scene in the early 80s, of which Wojnarowicz was an important part. The irony is that Wojnarowicz ended up being locked in battle with the NEA in an opening salvo of the "culture wars." The NEA has remained a punching bag ever since. And to be honest, I never give much thought to it. It seems like a minor factor in my world. But I like NEA Arts. ITEM: My favorite local Tumblr belongs to Bill Willis, who makes collages of random images with his own face--with an invariably manic expression--pasted in. Willis is a painter who had the last show at the Joanna, but I think this Tumblr is really his primary artistic outlet. Add it to your RSS feed. Don't forget the new museum in Katy!